A new version of MSI Afterburner is out. 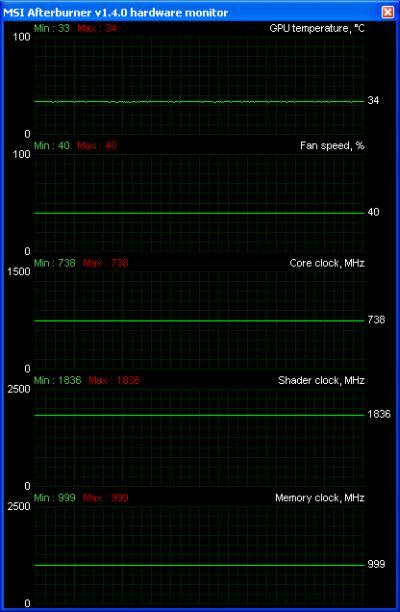 MSI Afterburner is a video car tweaking and monitoring utility and like EVGA Precision, it’s based on RivaTuner technology. You can download your copy of MSI Afterburner and consult the complete changelog HERE. As you see, MSI Afterburner is not locked to MSI cards. MSI did an awesome and honest job not locking all other users out. I have an XFX 5850 and have enjoyed Afterburner since day one. 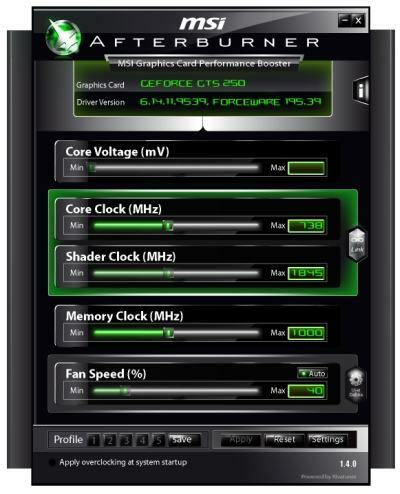 For that reason and for that reason alone, I will have my eyes open for MSI’s offerings for my 2010 P55 based rig.